Whether we’re talking about rock, metal, country, or jazz guitar, there’s always a lick or two that stands out among the many. 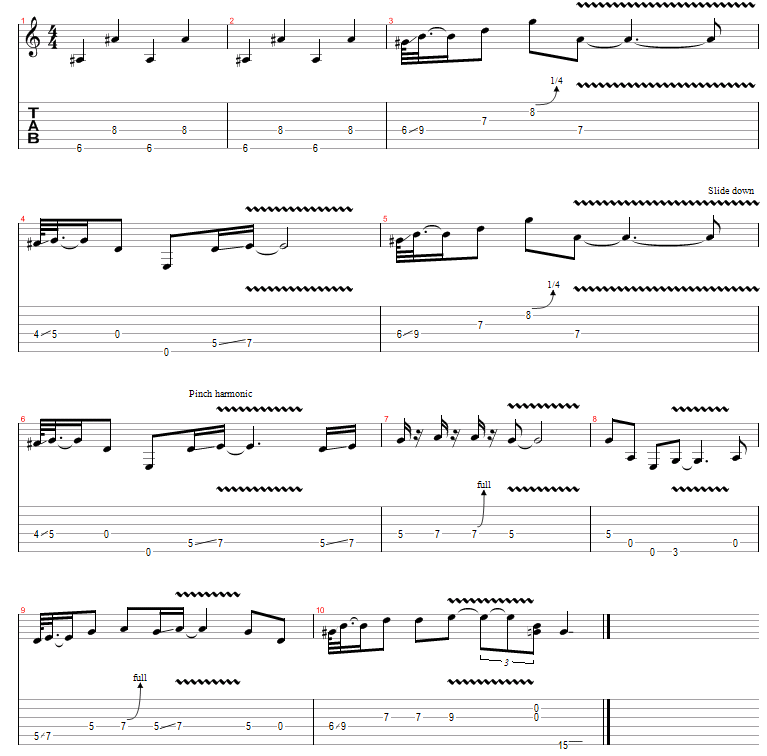 A lick is a series of notes played in conjunction with other licks to create a solo. Some of the best guitar licks used by guitar players are the same licks used by other players, but there are literally countless ways to take the same lick and make it your own. That’s the sign of a great guitar player. Licks can come in many forms. There are blues licks that use a lot of bend and release, slides, heavy vibrato, and double stop playing. There’s the fast chromatic licks and arpeggios, double tapping, and string skipping. There’s classic rock licks that make use of the blues but incorporate more modern playing techniques as well. These licks can be used separately or in conjunction. In the end, the choices you make are the choices that will determine your style. Some of the best guitar licks ever come from the blues and, as mentioned above, are frequently incorporated into other genres of music. Take a look at the blues lick below, which makes use of many of the techniques I mentioned above. The next example is a pentatonic with chromatic accents. Some of the most memorable licks in the history of music come from classic rock guitar players like Brian May, who has a melodic phrasing technique and an excellent sense of timing, or Jimmy Page, who injects his lick with a heavy dose of the blues. Even the licks in the opening of “Purple Haze” by Jimi Hendrix, simple as they are, stand out as some of the best guitar licks around, primarily because they serve the song and are immediately recognizable—proof a lick doesn’t need to be complex to be effective. I could make a list of the best guitar licks, but the list would be subjective. The best guitar lick is the one that fits the song you’re playing and defines your style as a guitar player, whether that lick is an exercise in melodic phrasing or a blistering double tapping party that burns up the fretboard.